A young white man's search for his roots takes him from the streets of Oakland to the prairies of Wyoming on an unforgettable journey into the heart of American history. During an interview with his grandfather, Ariel Luckey learns that their beloved family ranch was actually a Homestead, a free land grant from the government. Haunted by the past, he's compelled to dig deeper into the history of the land, only to come face to face with the legacy of theft and genocide in the Wild Wild West. 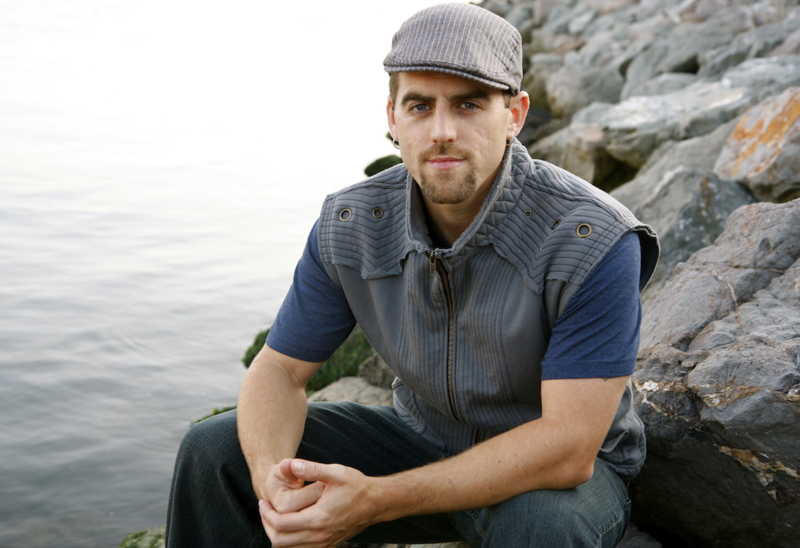 Free Land weaves poetry, theater, dance and hip hop music into a compelling performance that challenges us to take an unflinching look at the truth buried in the land beneath our feet. "Ariel Luckey is one of those rare souls who can combine a passionate commitment to social justice with first-rate artistic sensibilities, creating in the process an experience for his audiences that is beyond merely moving: it is transofrmative. He also provides a shining example for those of us who are white and male, by challenging us all to be better allies in the fight for equity and true freedom." "I was moved to tears when my daughter and I saw Free Land and I have been raving about it ever since." 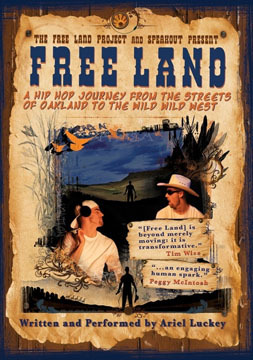 "Free Land is wonderfully fast-paced, energtic and sensitive...an engaging human spark. Ariel Luckey models awareness, action, respect and joy in the work toward recognition, reconciliation, social justice and wholeness." — Peggy McIntosh, Author of "White Privilege: Unpacking the Invisible Knapsack"